Big Jay has been a friend, supporter and participant in the LOUIE documentary project, and we’re all very saddened by his passing. 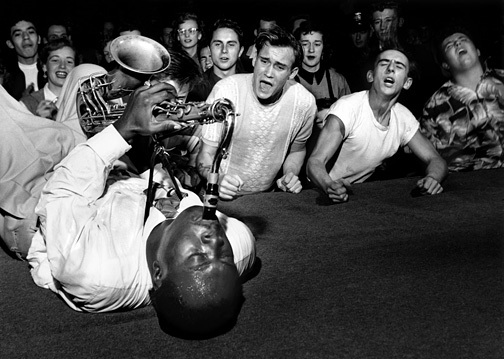 THEE transitional figure from Central Avenue’s nationally-crucial Jazz scene, into what became Rock ‘n’ Roll. Until this morning, I considered Jay the most important living musician in Los Angeles. Domenic also added this story about Big Jay.. 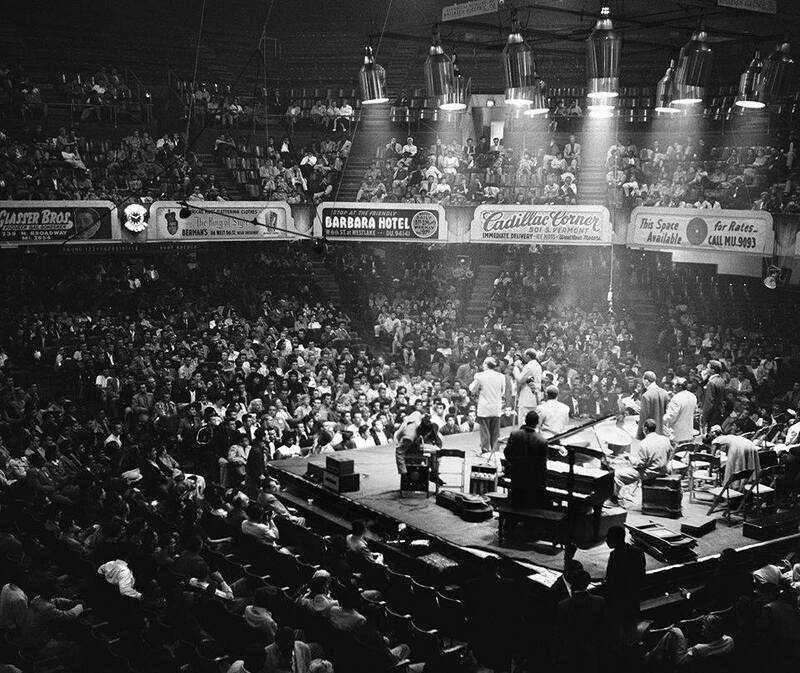 If there was one big magic moment that put Big Jay on the map of pop culture consciousness, it might have been this unforgettable photo of Jay, taken by Bob Willoughby at the Olympic Auditorium in 1951. 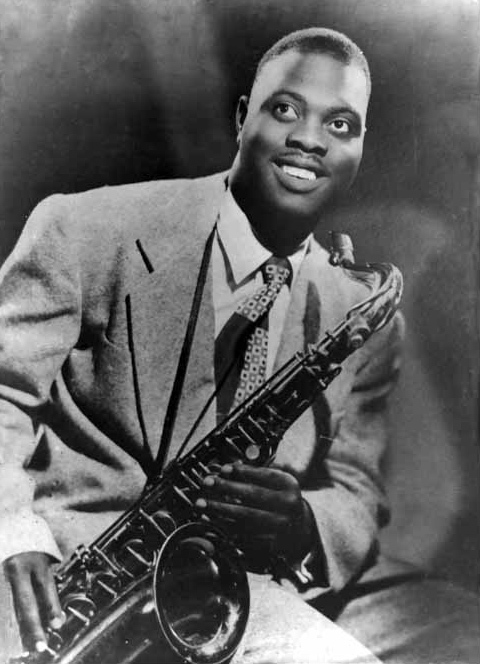 It’s a fascinating story, and you can learn more about that event and the photographer by visiting the JazzWax.com page and the official Bob Willoughby website. (Bob passed away in 2009). I’m grateful to have known Big Jay, who provided an interview for the LOUIE documentary, as well as various musical performances that I was able capture for posterity. 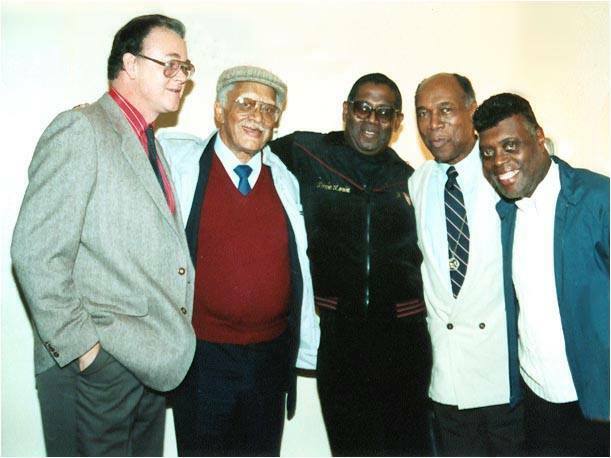 Like Richard Berry, author of LOUIE LOUIE, he was an alumni of Jefferson High School of Los Angeles. There will be more stories of Big Jay, but we’ll save them for later. 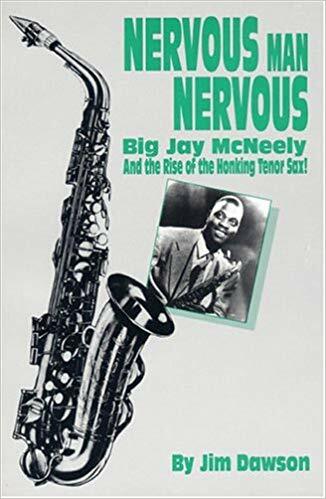 If you’d like to learn about Big Jay, I’d recommend this..
“Nervous Man Nervous: Big Jay McNeely and the Rise of the Honking Tenor Sax“- a book by Jim Dawson (ISBN 10: 0936433175 ISBN 13: 9780936433172), which is still available at the coolest book stores. I’ll leave you with a never-before-seen clip of Big Jay performing live at the West Coast Live 2010 event in San Jose, CA.